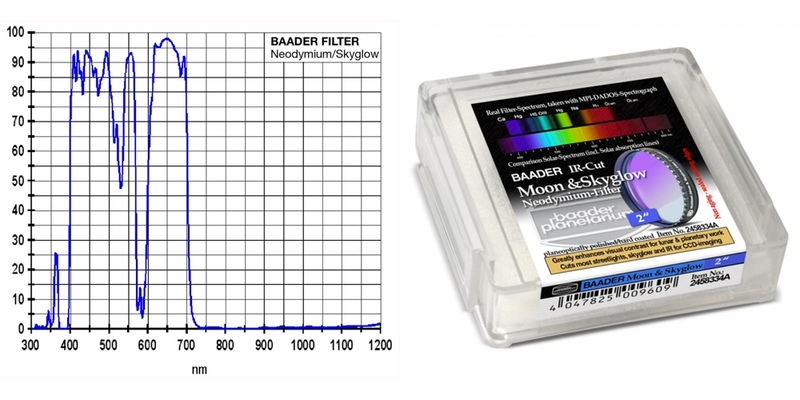 The best visual and photographic filter for contrast enhancement for all Newtonian and SC telescopes Baader has ever offered! Brighter and sharper than ever! 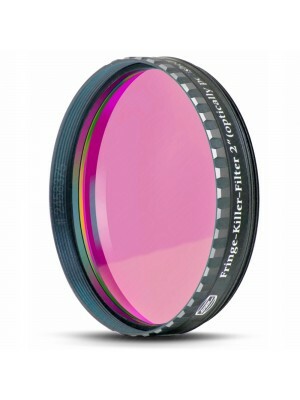 Long a dream for all CCD users, the Neodymium Skyglow & Moon filter with IR-Cut coating! The filter effect is much more neutral in colour and much brighter thanks for our Phantom Group Coating. If you want to escape a city brightened sky - without taking a trip - the new Neodymium Moon&Skyglow filter is the solution. Compare with the moon & Skyglow filter before the naked eye, to test the effectiveness. Red and blue colours are extensively strengthened. If you cannot see the GRS (Great Red Spot) due to pollution try this which will allow you to see it. In order to establish a precise plan area and to maintain the planarity despite the applied forces through the different layers of coating, a high technical effort is necessary. You have to choose from a large amount of raw glass only the best pieces in tension-free annealed quality to even hope for a good final quality may. All too easily, the glass deforms with improper preparation or coating on older evaporation systems. The final product is almost useless, if not greatest of care is taken at every stage of production. 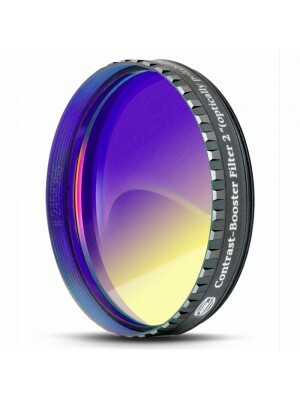 Selective contrast filter, especially suitable for all reflector telescopes. 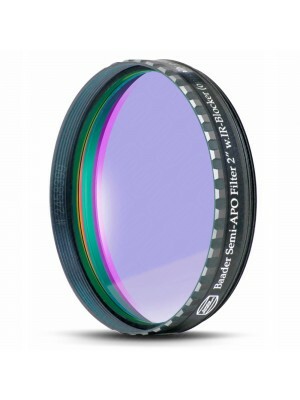 Filters specifics wavelengths especially street lights and skyglow from the Moon without suppressing the visibility of colour and brightness differences. The result is a filter that leaves natural colours intact with RGB significantly enhanced. 95% transmission in the selected spectral ranges. The filter is also optimised for Astrophotography due to it's full IR-blocking. When used with dSLRs stars are much sharper as the unfocussed IR is blocked. 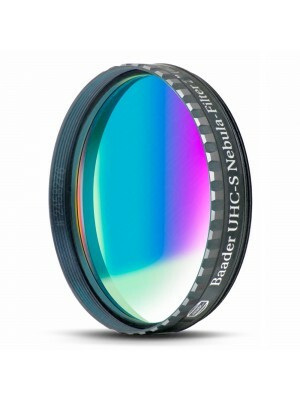 Ultra-hard and durable Ion-beam hardened coatings and may be cleaned anytime without fear, ideally with Baader Optical Wonder Cleaning Fluid.